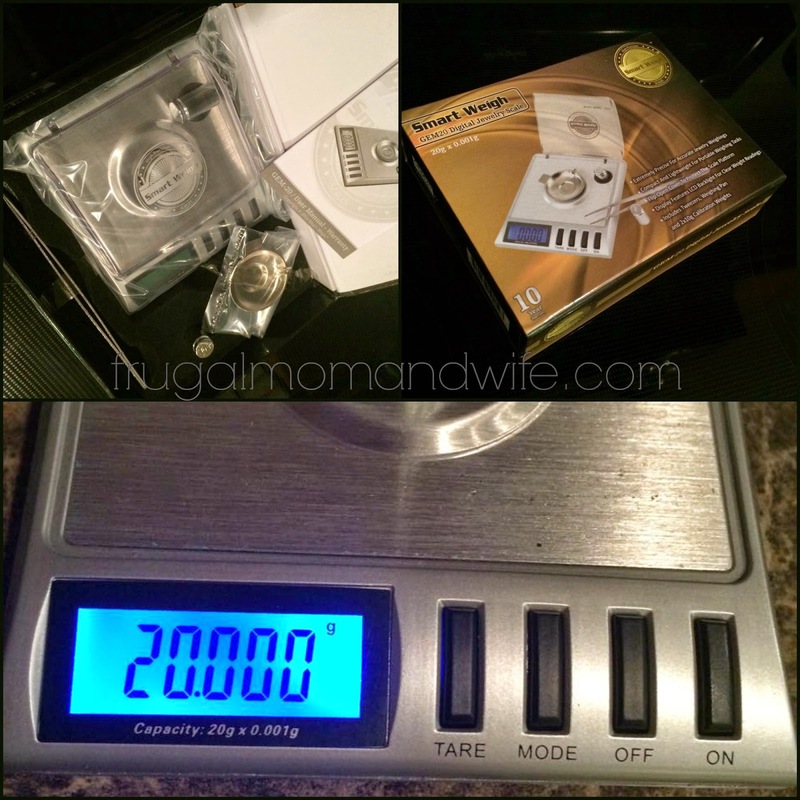 Frugal Mom and Wife: Smart Weigh High Precision Digital Milligram Scale Review! 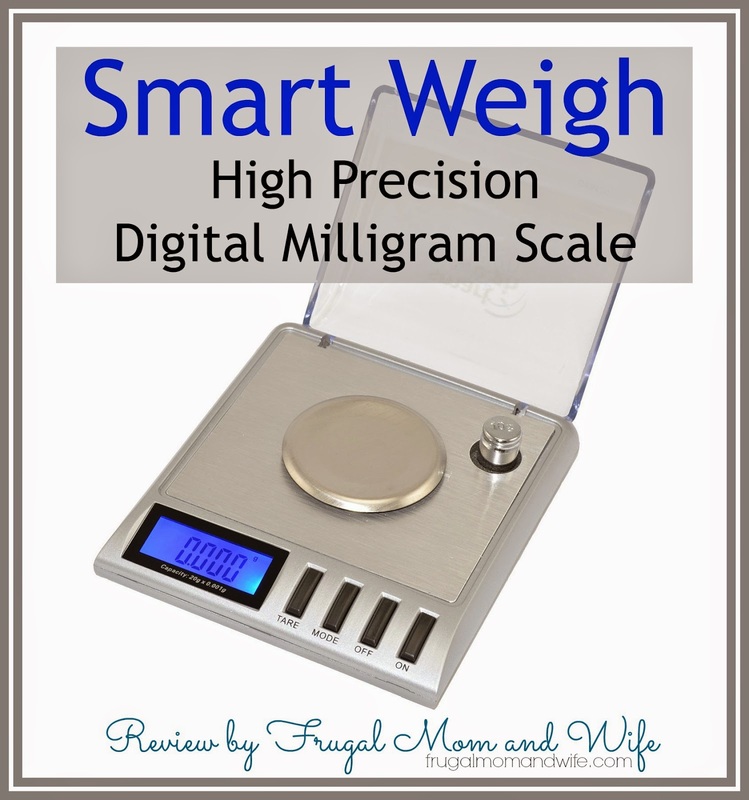 Smart Weigh High Precision Digital Milligram Scale Review! Precision does not get any more precise with this scale! The Smart Weigh Digital Pocket Scale is not only compact and convenient but works like a charm. Combines high precision with the ultimate in convenience. Features a flip open cover to protect the weighing platform. They have got you covered! 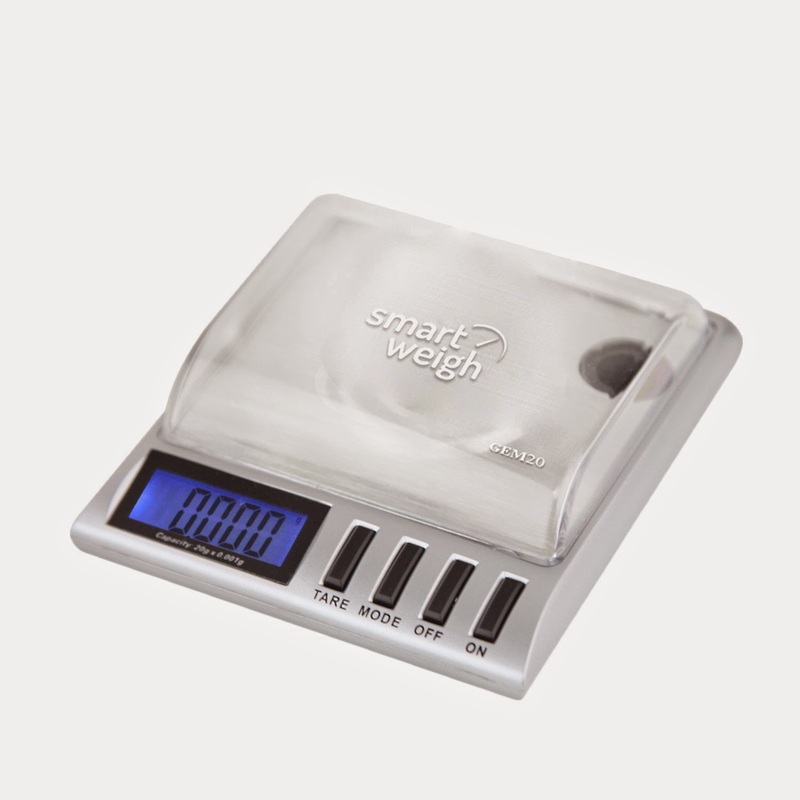 The scale features multiple measurement modes which will surely meet your needs. Includes: g / oz / ct / ozt / dwt / gn and measures up to 20 grams in increments of 0.001 grams. On the go! Carry it with you wherever you go and won’t take up too much space. It is sleek, compact, and lightweight. The convenient tare function allows you get the net weight of a product you are weighing. This type of scale is not one I am normally accustomed to using. I of course have used many digital scales for jewelry, mail and ingredients but always must have an accurate reading. Upon initially using this Smart Weigh scale the scale was off but once I read the Calibration steps the scale was perfect. You see, when this style of scale is shipped the turbulence can cause it to become off set. This makes the reading off but easily corrected. I just love the little dish and weights that come with the scale. This allows you to compare weight with the provided ones against your weighted item. The dish provides an easy pour spout for your fine ingredients to be transferred safely. I use it to mostly measure my essential oils and spices. It's so neat using it in the kitchen when I am adding the exact ingredients to my meals. It gives off it's own ambiance and works wonderfully. The bright LCD screen makes it very easy to read the measurements every time. When I am done I just pop over the lid and store, a small design to reduce clutter. This scale would be perfect for on the go too! Smart Weigh prides itself with an experienced team of competent and knowledgeable customer service representatives. Their technical support professionals consider their consumers the highest priority and are ready to address your concerns in a most efficient manner.